Characteristics: Concentrated solution requiring water, fast drying, long lasting, stable in solution, durable, exceptional brightness upon first usage and economic white line paint. Dilution Rate: For brand new markings 1 part paint and 5 part water is recommended. As for Re-markings we advise 1 part paint to 7 part water. Bowgrass line marking paint is a high quality product, the best money can buy. This incredible line marking paint is prominent enough to over-mark a standard sized football pitch with as little as 1.1 Litres of paint. Of course this pitch size is not what it is limited to, so expect long lasting usage with multiple re-marking uses, as well as for bigger larger pitches. 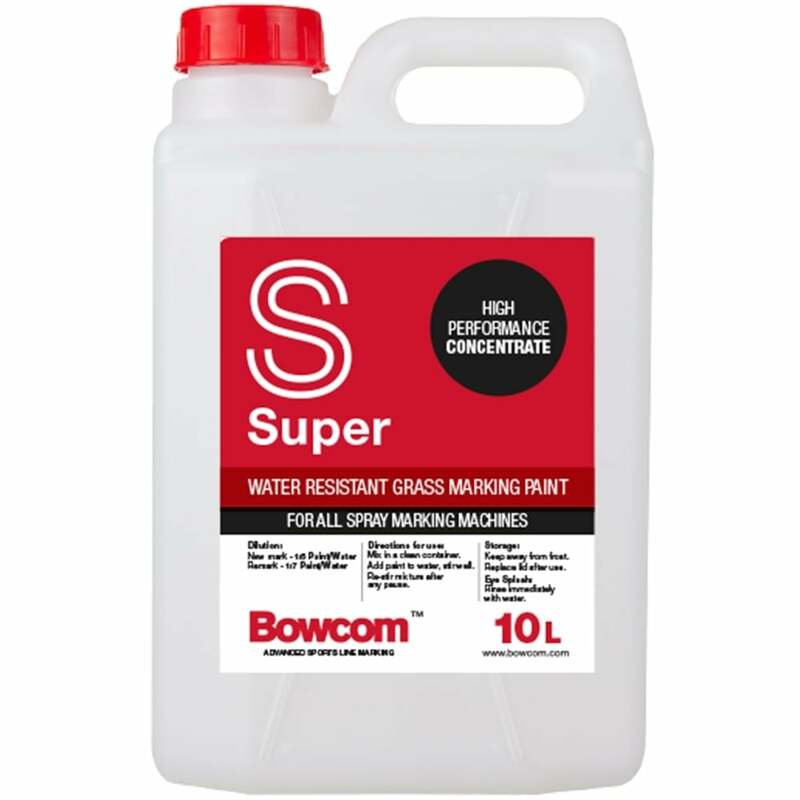 Our concentrated Bowgrass Super contains the ultimate blend of profoundly micronized Titanium Dioxide, to help create the bright white colour and providing no translucence whatsoever. As well as resins and surfactants. This new formula offers a further enhanced with an improved flow, as well as an excellent reduced viscosity quantity.